Even though Windows 8 was just released, its app store at launch had one of the largest collections. But which apps to get? Although, Modern UI is less likely to cause bloating due to the efficient way that memory is handled in Windows 8 you still don’t want to install every single app out there. So we’ve filtered it down a little for you. It’s kind of hard to go wrong with StumbleUpon. Everyone knows what StumbleUpon is. And if you don’t, consider this a lucky read! It’s basically an easy awesome way to discover awesome content on the web starting anywhere from art and comics to funny things, to stuff about astronomy – anything and everything in between. It’s simple enough. Right-click to bring up the context menu from where you can access the different options – like, dislike, the actual Stumble button itself. I had some issues, though. Big images would appear in its original size and go off screen, and there’d be no way to zoom out or fit to screen. Hopefully they’ll fix this in future iterations. Next up, it’s Netflix – everyone’s favorite streaming website. There’s not much to tell about this, really – you sign in and you watch movies and TV shows. If something comes up that requires your attention, you can use Windows 8’s docking feature to dock Netflix to either side of the screen while you take care of business on the other side. Great app, and a must have for anyone with a Netflix account – which means, not me because I closed mine – I never seem to get the time anymore to utilize it! Hard to forget Skype after Microsoft purchased it for so much money. Skype of course looks very metro and little of its former self (you can still download the desktop version). It’s pretty neat, like TweeTRO, it works in columns – recents, favorites, people and so on. Just like Netflix, if you have a chat or a video running, you can dock it to either side and go about your business on the other part of the screen. This game is built for the touch interface but as easily playable by mouse. It takes the very simple concept of a side-scrolling ‘runner’. You control a character who’s basically running through a lab killing people and avoiding dangerous obstacles, while picking up coins in a Jetpack that’s strangely powered by a Minigun. You move yourself up and down the screen to avoid everything that’s coming your way. You occasionally find interesting vehicles such as a teleporter or even a dragon called Mr. Cuddles. You pick up speed as you keep dashing through the top secret laboratory and the objective of the game, like most games these days, is to see how far you can go and how much coins you can collect. I tweet. You tweet. Everyone tweets. So what other app to be featured in our first Top Five of the Week other than a Twitter App? There’s quite a few in the Store. There’s MetroTwit. It’s kind of pointless to say that, that one had a clean interface – pretty much every single app for the Modern UI has a clean interface. But after trying several of the free apps available, I found TweeTRO to be the best one. The app starts off on the homescreen which has your tweets, the Timeline, photos from your tweets, and then you have the option to add columns of lists. It took me a bit to figure out how to search – like all other Modern apps, you use the search feature on the Charms bar to search for tweets or people. Have all these Windows 8 apps installed already? Share your views in the comments! These is such a great application you should get from Windows 8. I have netflix but I never try to use it. Good thing you have shared it. I’m using first 3 apps, will not try that game as I don’t like such kind of games, CS is my favourite game. Will surely try TweeTRO as I think it’s useful for me. Thanks. Ohh, please let me know once it is available to download, thanks in advance. 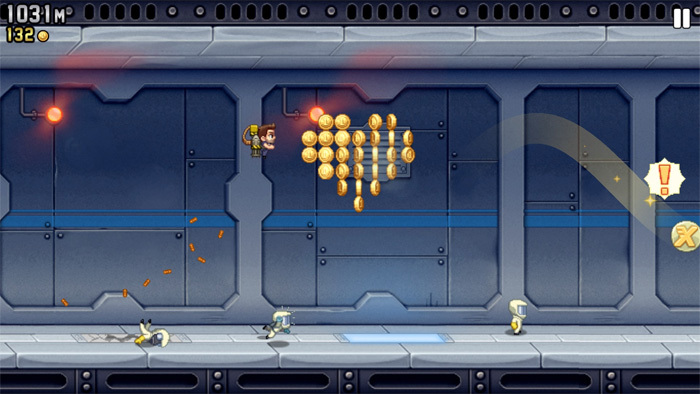 I love Jetpack Joyride, Android version though. And yes, I also faced that same problem with StumbleUpon. Not using it anymore.